EXCLUSIVE! Go ahead, make a spectacle of yourself. 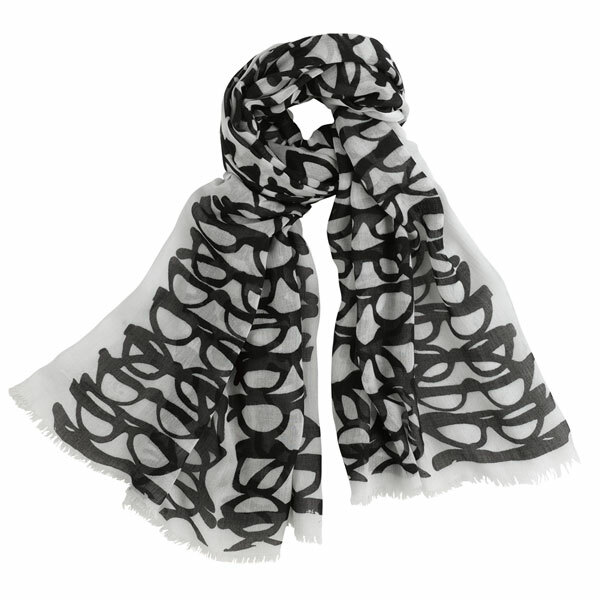 Printed all over with classic black frames, viscose modal scarf has a soft hand, easy drape, and fringed ends. 28" x 72". Dry-clean.